Retaining most of its features from the 2014 model, the 2015 Sorento makes its way to dealerships with just a few subtle upgrades to make it a more appealing option for customers looking to buy a midsize SUV. The interior and the engine optios of the Sorento received their upgrades last year, so there’s really no need to ask for a complete refresh again. But there are some changes to the 2015, enough at least to make it distinguishable from its predecessor, and more importantly, make it more attractive, especially for young buyers. There really are a lot of things to like about the Sorento; it’s got a nice design and it offers copious amounts of power that should make it a contender in its segment. But the best part about Kia’s midsize SUV is its price. 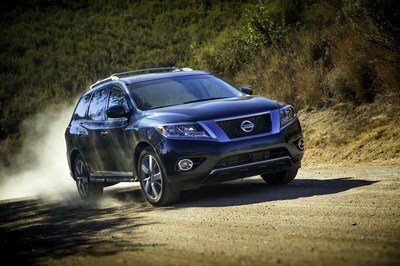 Whereas rival models are close to the $30,000 range for their V-6 trims, while the Sorento’s V-6 starts at just a little over $26,000. That’s value right there. The overall look of the 2015 Sorento is largely similar to the 2014 mode, save for a few subtle additions. With the 2015 model, customers can now choose the finish on the SUV’s mesh grille, be it just black or anodized silver metal. In addition to that, the new headlight setup now has LED technology with the option of upgrading to xenon HID headlights for the SX Limited trim. The option to move up to 19-inch wheels with matching red brake calipers also makes it into the 2014 options list. Other than these minor tweaks, Kia’s mid-life refresh of the 2015 Sorento doesn’t light up our senses. 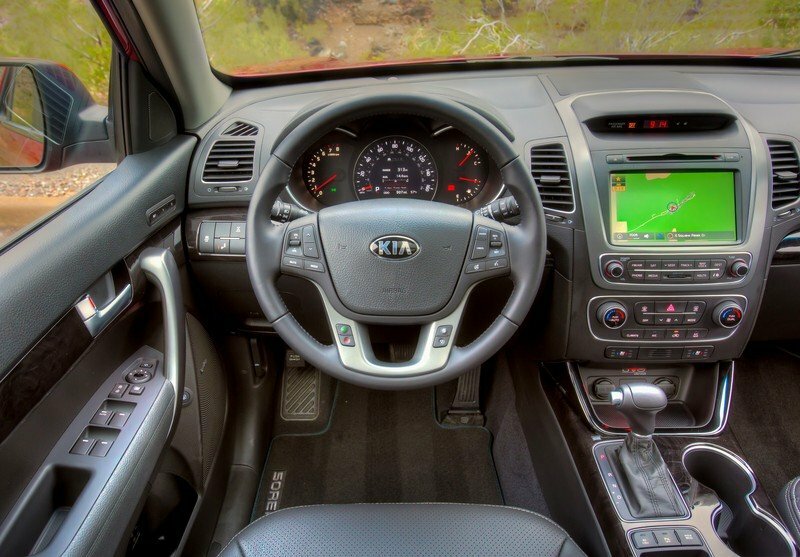 The interior of the Sorento is one of the SUV’s brightest spots, not because its loaded with technology, but because it has more than enough for a vehicle of its class. The huge panoramic sunroof is a nice addition, but its the small touches done on the cabin that really brings up its class. Leather appointments on the seats and the transmission selector boot are as welcome as they are pleasantly surprising. The center console is neatly arranged and the buttons aren’t too flimsy to the point that they clunk out as soon as you start using them. Even the LCD speedometer is a nice touch. While we’re talking about nice touches, so are the retractable second-row window shades. There’s a lot to like about the interior of the Sorento but two things that Kia could have improved on are the passenger space and the cargo room. They’re not that bad if you consider the market, but it would’ve been better if Kia had paid more attention to creating just a little bit room, especially for adults sitting in the back. 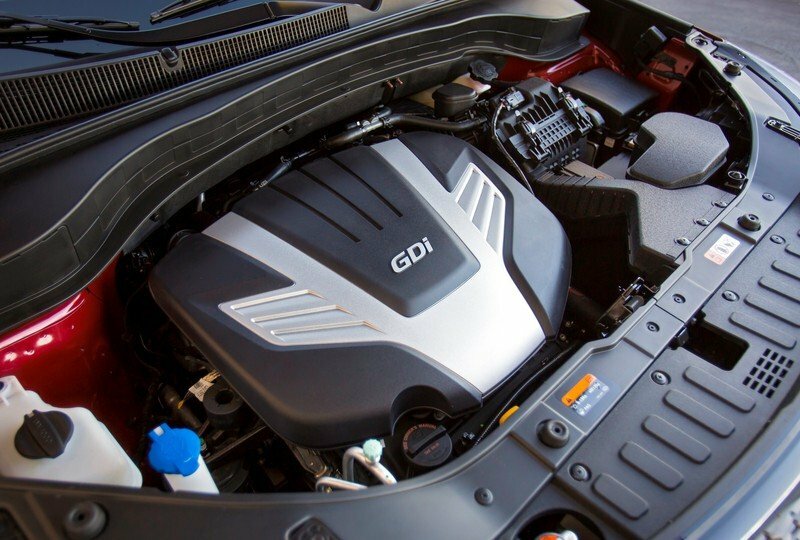 Two engine options are offered for the 2015 Sorento, one of which is the 2.4-liter inline-four that produces a steady 191 horsepower and 181 pound-feet of torque. Theose numbers are ok, but you’d do a lot better if you skipped that and just went straight to the 3.3-liter V-6 and its 290-horsepower and 252 pound-feet output. Fuel economy is okay, as with front-wheel drive and the four-cylinder engine, the Sedona gets 20 mpg city, 27 mpg highway and 23 mpg combined. 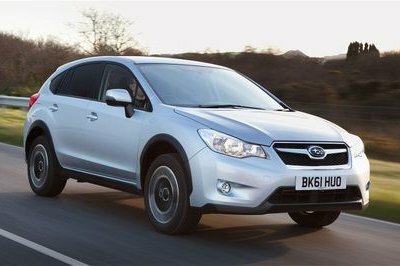 AWD drops the four-pout down to 19 mpg city, 25 mpg highway and 22 mpg combined. 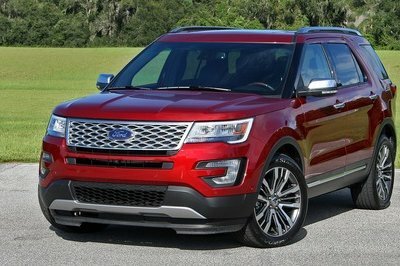 The FWV, V-6 model gets 18 mpg city, 25 mpg highway and 21 mpg combined, while the AWD, V-6 model gets 18 mpg, 24 mpg and 20 mpg, respctively. The 2015 Sorento retails for $24,100 for the base price LX trim. Jump to the cheapest V-6 (the LX V6) and the price also increases to $26,500. But if you want the biggest and most expensive trim of the Sorento, the Limited is the way to go. You’ll have to spend $39,900 on it, but it should still be money well spent. 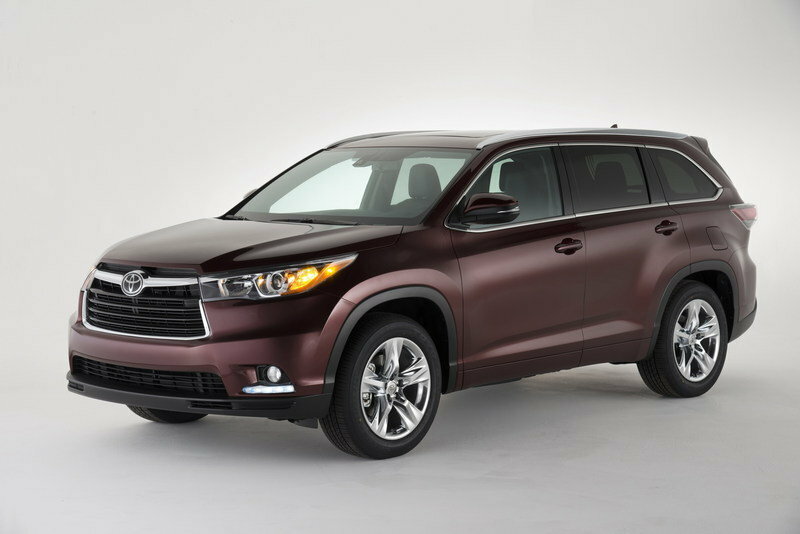 The new-generation 2014 Highlander offers a compelling rival for the Sorento. The fact that it just made its world debut at the 2013 New York International Auto Show adds to the compelling argument that it makes as a worthy rival to the Kia SUV. Unlike the 2015 Sorento, the new Highlander actually received a series of new features, including an updated exterior look, a refined, premium interior and a new six-speed automatic with sequential shift offered for the V-6 models. The 2014 Highlander is also offered with a choice of multiple engines options, including a pair of gasoline units and one hybrid powerplant. 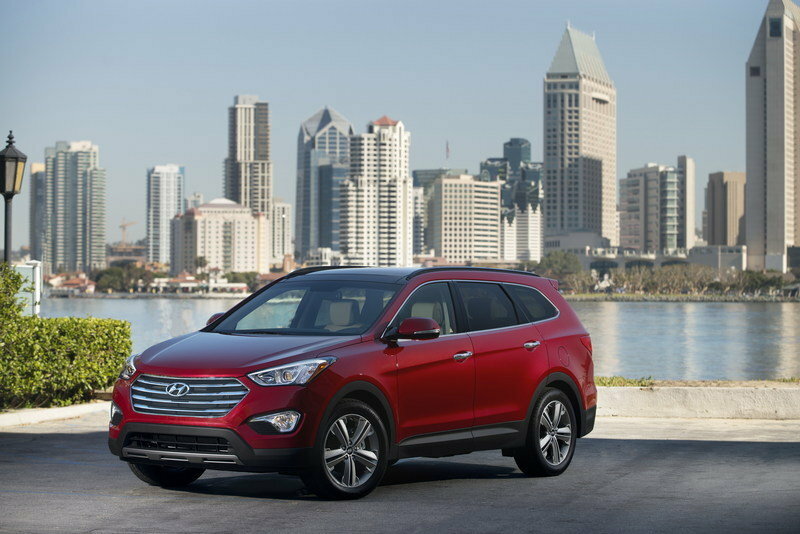 The model targeting the 2014 Santa Fe is the one powered by a 3.5 liter V-6 engine that delivers a total of 270 horsepower and 248 pound-feet of torque. Pricing for the Highlander begins at $29,215 for the standard version and goes all the way up to $47,300 for the hybrid version. 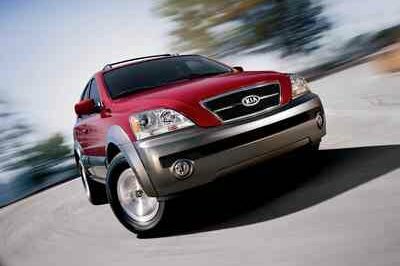 No mention of the Kia Sorento is complete without also mentioning its biggest competitor from its homeland, the Hyundai Santa Fe. The redesigned Santa Fe looks a little better to the eye than the Sorento, an advantage that could play well into the hands of the Hyundai SUV. It also features a pretty snazzy interior that goes a long way in increasing its luxury credentials. Spacious, tech-savvy, and a huge sun roof. Those are all included in the 2014 Santa Fe. Under its hood, the Santa Fe only comes in one engine, which could dampen its chances against a Sorento that has more than one engine offering. 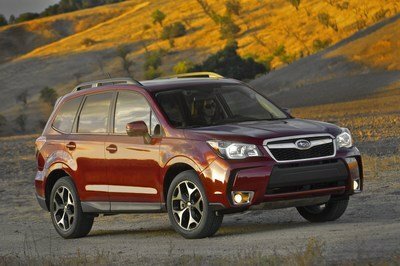 That being said, the former’s 3.3-liter V-6 engine is pretty wonky, capable of producing 290 horsepower and 252 pound-feet of torque, exactly the same one found on the 2015 Sorento — of course, they are the same engine, so no surprises here..
For all the similarities between the two models, the Santa Fe is a little more expensive at around $28,500. The Kia Sorento is big on a lot of things, making it one of the most versatile and well-equipped midsize SUVs on the market. It still has its drawbacks, including space for the rear passengers. But if you can let that small detail go, the positives you get from the Sorento far outweigh the negatives. A little more than a year ago, Kia Motors America (KMA) debuted a significantly redesigned Sorento CUV at the 2012 Los Angeles Auto Show. 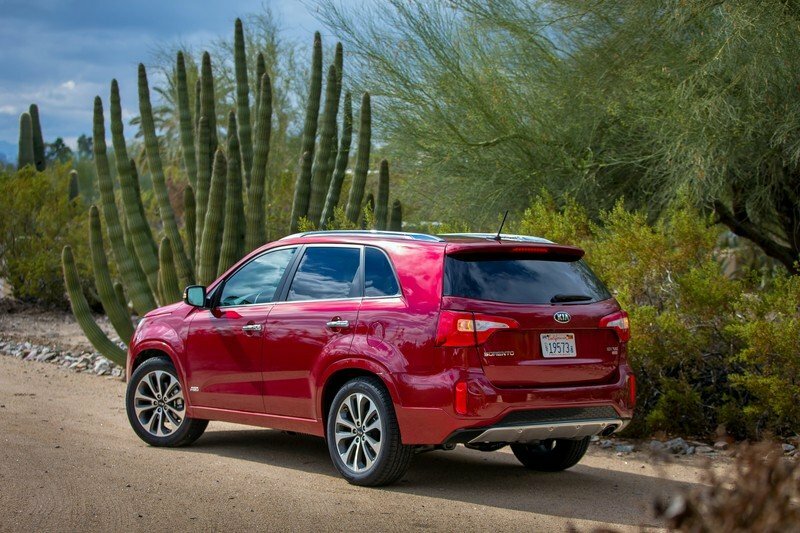 No mere refresh or facelift, the Sorento benefitted from an all-new chassis, a powerful new Gasoline Direct Injected (GDI) V6 engine, a restyled interior, a next-generation infotainment system and Kia’s first-ever Blind Spot Detection system. 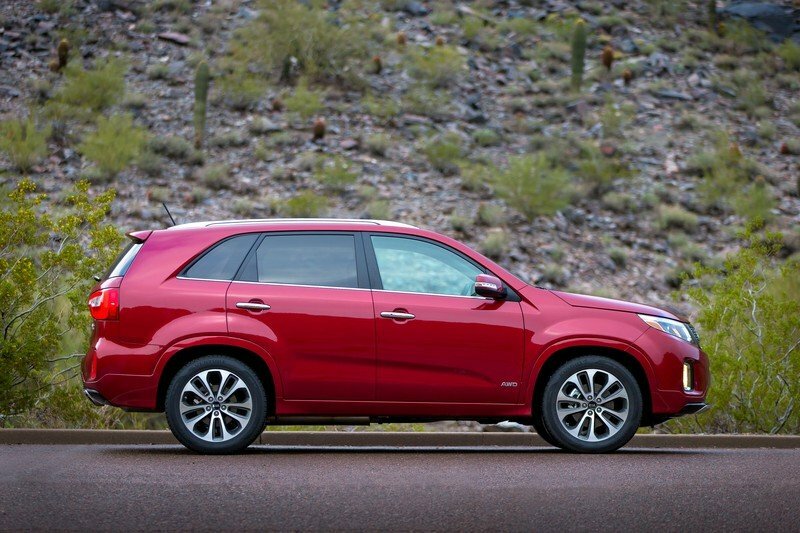 Carrying over into the 2015 model year, the Sorento success story continues. The 2015 Sorento remains a formidable competitor in the CUV segment, offering equal measures of value and sophistication. Available in four trims – LX, EX, SX and SX Limited – the 2015 Sorento is offered with an all-aluminum 3.3-liter GDI V6, which produces a smooth 290 horsepower at 6,400 rpm and a stout 252 lb.-ft. of torque at 5,200 rpm, and a fuel-sipping 2.4-liter GDI four-cylinder engine – enhanced for 2015 to provide greater fuel efficiency – producing 191 horsepower at 6,300 rpm and 181 lb.-ft. of torque at a low 4,250 rpm. Power is routed to either the front wheels or, optionally, to all four using an enhanced Torque On Demand all-wheel drive system that seamlessly directs power to the tire with the most traction and now includes Torque Vectoring Cornering Control (TVCC) for added stability under certain driving conditions. Regardless of engine or driveline choice, the 2015 Sorento comes standard with a smooth-shifting six-speed automatic transmission. Also standard is Electric Motor Driven Power Steering for improved efficiency, and it’s quicker with 2.95 turns of the steering wheel, lock-to-lock. The steering also features an available Flex Steer™ system that offers drivers a choice of three steering modes: Comfort, Normal and Sport. The 2015 Sorento sports dynamic and sophisticated design elements, inside and out. Aggressively styled front and rear fascias enhance the Sorento’s road presence with a lower, broader appearance up front and a visually wider stance at the rear. For 2015, the signature Kia grille is enhanced with an anodized silver metal or black mesh appearance, and the lower valance has been opened to expose an aggressive cross-hatched intake. Front LED positioning lamps create dramatic eyebrows while projector-style headlights peer from behind tapered clear lenses. Available fog lights on all trim models are upended and pushed to the far corners of the front bumper for better forward and side visibility. Horizontally positioned rear LED combination lamps embrace the turn signal and back-up lights, emitting a warm corona that makes the 2015 Sorento instantly recognizable from behind. 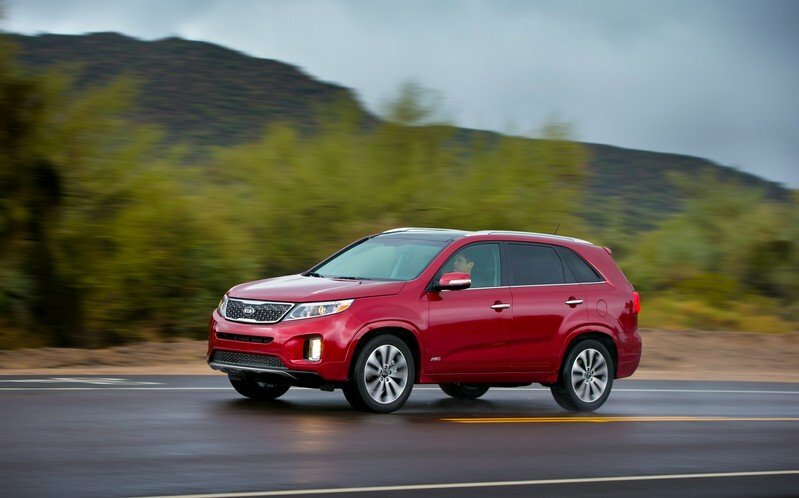 The Sorento rides on handsomely designed 17-, 18- and available 19-inch wheels. Inside, the instrument panel deftly combines technology with proven ergonomics. Standard on EX and available on the LX trim, the large center gauge cluster features a 7-inch TFT LCD that projects a digital speedometer flanked by easy-to-read analog instruments for the tachometer, fuel level and engine temperature. The TFT LCD readout also displays trip and vehicle information, along with navigation updates (optional). The center stack’s appearance and layout convey a modern feel, and button positions are arranged for a more user-friendly experience. The 2015 Sorento is designed with a large, vibrant touch screen. Diagonally spanning eight inches, the optional screen integrates navigation, SiriusXM Traffic1 with real-time road information updates, a premium Infinity®2 audio system, SiruisXM Satellite Radios, Bluetooth® hands-free connectivity3, vehicle settings and UVO eServices4, Kia’s next generation of infotainment and telematics. For 2015, navigation can be uncoupled from UVO and the Infinity sound system, delivering an added option for superior voice-recognition technology and premium sound quality. Carry-over options in the 2015 Sorento include a programmable power liftgate, panoramic sunroof with a one-piece, power-operated shade, integrated 2nd row sliding sunshades, available dual ventilated air-cooled front seats, a 115-volt power inverter, and illuminated door handle pockets.